The EUR/USD currency pair continues consolidating. However, later the price is expected to start a new descending movement. The target are for the bears is between the levels of 78.6% (backward correction) and 161.8% (extension). 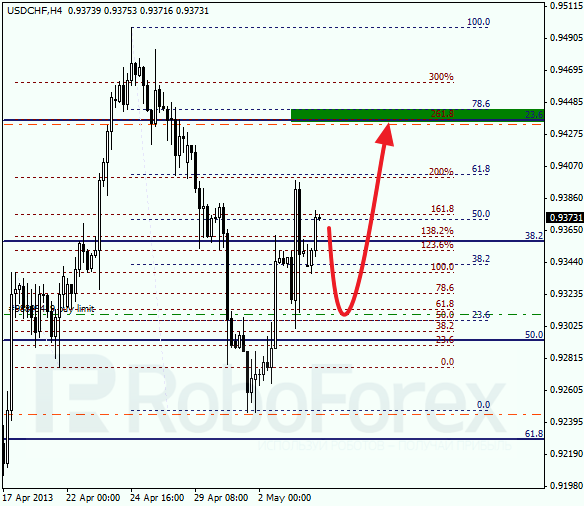 At the H1 chart we can see, that a local correction may continue up to the level of 61.8%. If the price rebounds from this level, the pair will start a new descending movement. According to the analysis of temporary fibo-zones, predicted targets may be reached by Thursday. It looks like Franc is going to continue moving upwards, but only after a correction. I decided not to open any orders, placed only a limit one. The target is in the area where there are three fibo-levels at the same time. 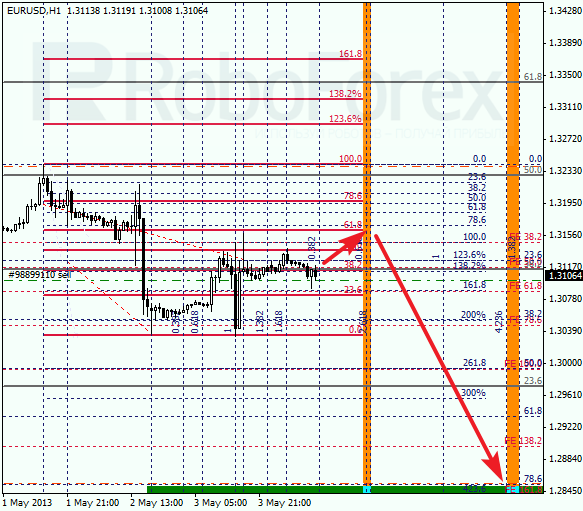 At the H1 chart we can see, that a bearish correction may continue up to the level of 61.8%. If the price rebounds from this fibo-level, the pair will start a new ascending movement. The target for the next several days is the level of 0.9435.